Brand new dress, still with tags and not worn for a wedding. 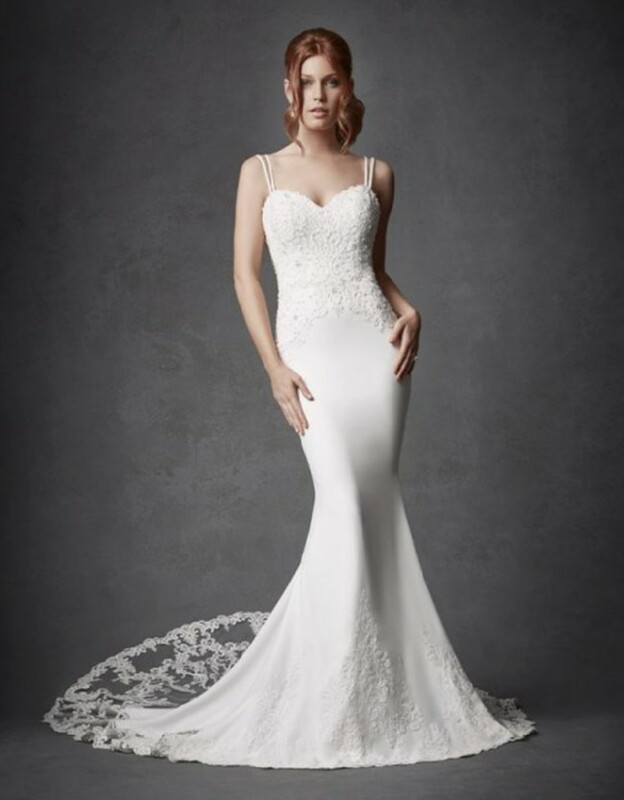 From the Signature collection - a striking ivory sheath gown with a double strap detail and low illusion back. Amazing beaded bodice with exquisite pearl button fastening, the fitted silhouette is finished with a beautiful cut away train with incredible lace detailing to give a truly stunning look. The dress has not been altered. Change of mind and another dress purchased. Once you send a message, Jo can invite you to purchase the dress.